Two of the passions humankind cannot resist must be immortality and the desire to see the future. After all, mythology and artworks are full of immortality potions and oracles. We’re at such a point in history now that we can foresee some changes coming and what they might bring, even though we cannot say for sure. For example, technology and biology will become more intertwined. The span and quality of life will change. Physical learning and working environments; the shape of schools and workplaces will change for certain. The quality of transportation and the way we use vehicles will change for certain. Foreseeing the future doesn’t mean anything on its own; one needs to take steps and action to adapt to the future we foresee. In the future, Human Resources will not exist with its definitions we know today. On the other hand with a broader definition; it is possible to say it will become a more important topic in people’s mutual organization for production. It will evolve into a more developed function by adding more onto the HR skills of today. There won’t be a place-dependency for production. We were in a system where organisations were built upon boxes of standard duty definitions, students went through the education system to fit in these standardized boxes and became employees, and then handed them over when their time was up. Now we are transitioning to corporate structures where individuals and skills are at the center, and that are vertically organized through a common purpose instead of system and organizational schemas. This change is not local; it is a global situation. It has a different magnitude and effect in every country. What is common is the factors that trigger this change. First of these is that production doesn’t have to be central anymore. Production here doesn’t only refer to heavy industry. In today’s historical point, producing software at home using one single computer is equally valuable. You can imagine this value with a humble software with a purchase value worth a couple of houses. The translations between data and material is getting easier and easier. The fact that these borders are getting closer is rewriting the production and consumption ways of the whole world. Three dimensional printers are the messengers of the change we’re going through. Let’s look ahead. What do you see? The business world of the future and the companies with a focus on value-production must put human-related issues in the center of the companies’ strategic issues. They should build their business models around this. 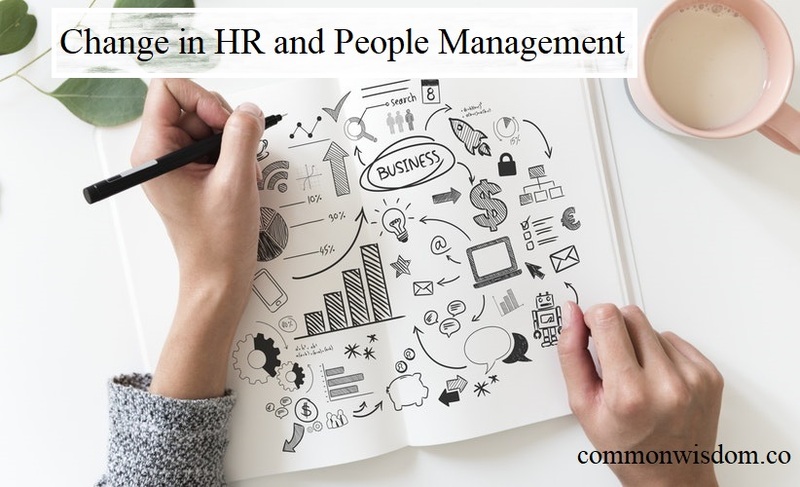 Issues such as how the employees can be organized around a common purpose, how they can be motivated, the adoption of business ways suitable to business targets and corporate culture seem like they will be the strongest factors. This issue is especially important for companies that work with technology, under technology’s threat, and want to change old ways using technology. It’s not impossible for employees to not feel separate from company management, to think they’re creating a change, and to match this change with their view of life and search for meaning. More and more companies manage this every day. You can see this more clearly when you look at successful companies that reached unimaginable success globally. Facebook’s first and primary goal is not to make profit*; but to connect the people of the world to one another in a scale never seen before. This is for sure a priceless source of motivation for people who are not careless about the world they’re living in. Where is HR Analytics in This? Things change as organizations become more horizontal, and hierarchical structures break down. Although these factors look like reasons on the surface, these changes in organizational and management models are not reasons. They are actually the result of a much deeper and bigger factor. The speed of change is changing. This is the factor that comes from depths and shakes everything that it is built upon it. Let’s make it concrete. Let’s divide history into three pieces for this example. The first period: information is gets around orally before writing, and is expressed through stories, music, songs, or through simple visuals. Newborn’s adopting the information of his society happens naturally and this information stays valid until he dies. In this period, it wasn’t possible to observe a radical change between the information of five generations ago and five generations after. The second period is roughly between year 0 and 1980. In this period, the information that the education system – which took decades to plan and settle (and that we use today as well) – teaches and transmits was still valid although the speed of change increased relatively. There are some differences between the lives the two generations have lived. There are some new inventions in between. But these aren’t in a magnitude that will stop people two-three generations apart from understanding each other. The third period is from 1980 to today. Now the change is so high that life conditions, ways of reaching information, organization of leisure and daily life all change from one generation to another. There’s no need to even talk about this period as we are all going through it right now. So we are living in such changeable grounds now. We passed through the education system placing humans in the empty spaces of the production system, and then our taking our places in the organization schemas that are designed very carefully and not to change. In this speed of change we are in, it is only possible to grow as autonomous individuals who can design their own way, learn simultaneously, think, make decisions based on observations and develop reflexes. Organizations that allow and value such behavior increase the individuals’ chances of reaching their full potential. Considering all these, it is possible to summarize like as the following. The historical change is happening between traditional, production-focused companies and and technology-based companies that can adopt to change. HR’s future is going to be less about building the right hierarchy and more about how to include skillful people into organizations and how to bring them together through a shared, mutually meaningful goal. * It is an undeniable fact that commercial success is at the top of all other factors, especially after IPO. But at least we can say that profit-increasing was more on the focused in the companies of the previous generation. Read more about the changes the future will bring.